Mr. Russell A. “Albert” Johnson, age 76, of Alachua, Florida died Friday, Oct. 12, in Live Oak, Florida. 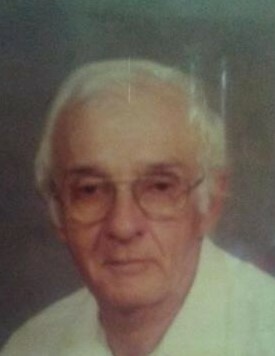 He had recently moved to Alachua, Florida but resided in Lake City, Florida for over sixty years. He was employed as a truck driver with Delta Hatchery for many years. He enjoyed watching western movies and wrestling. He was preceded in death by his wife, Caroline Sue Johnson, his parents, Benjamin and Eva Detone Johnson and a grandson, Michael Shane Jennings. He is survived by two daughters, Carol R. (Robert) Register of Alachua, Florida and Dolly (Mike) Jennings of Ocklawaha, Florida: Three sons, Russell E. Johnson of Franklin, Ky., David (Bonnie) Johnson of Bowling Green, Ky. And Mark (Melissa) Johnson of Bellview, Fla.: Two sisters, Margaret Trahen of Sante Fe, Texas and Dolly Johnson of Alachua, Florida: One brother, Jack Johnson of Fernandina Beach, Fla.: 18 grandchildren and 18 great-grandchildren also survive. Graveside funeral services will be held at 2 P.M. Thursday, Oct. 18, in the Bethlehem Cemetery, Lake City, Florida with Rev. Randy Ogburn officiating. Visitation and gathering with the family will be from 1 to 1:45 P.M. at the funeral home and then a funeral procession to the cemetery. GUERRY FUNERAL HOME, 2659 S.W.. Main Blvd., Lake City, Florida is in charge of arrangements.